Gee, you think they really differ? So, want to know who these Taliban guys are anyways? They do this. They are running through a few commanders, however. Did I mention that the Taliban are a bunch of gutless cowards who are blowing up women and kids? Maybe I have once or twice...but here it is happening again. Russians? Talib? Local atrocities? All of them. Keeping an eye out for censorship of Kamran Mir Hazar. King Zahir Shah's funeral ended the era of the Last King of Afghanistan. He was fairly well thought of by almost every Afghan I ever asked. 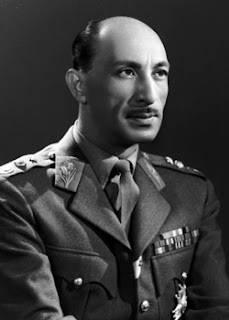 Pushed out in a coup by his own relative, the excreable Prime Minister Doud - the King went into exile in Italy. He returned to Afghanistan and disavowed any restoration of the monarchy, simply accepting the honorific "Father of tthe Nation". At least he got to come home in the end. The Taliban Campaign for "Hearts and Minds"
They have learned when they attack Coalition troops and the Afghan Army they get dead. They are moving more and more to kidnapping and killing soft targets. Targets from countries whose populations are not totally convinced their Soldiers should be participating. 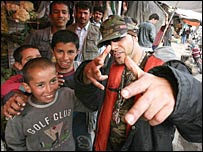 I have noticed they always Kill the Afghan drivers and interpreters just there trying to feed their families. Alas, no News of Afghanistan this week. I will be going up to Ft McCoy to put some 9mm rounds down range, hopefully resulting in a very high qualification score. Then I am going to stay over at the Wisconsin Dells with the family before returning home. It's hard to believe that the Spartans had Greek mothers-in-law (which they must have predominantly had by definition) and still had great abs like that. 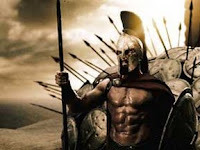 I've been working on my workout routine (not the "300 Workout", just the Power 90 workout) to try to get to look like those guys in 300, but the last four days my brother-in-law and his family were in town so we went to my Greek mother-in-law's house everyday. It was very hard to convince her that I'm on a diet. I did get through it and Mrs. Prop and I are BOTH working out (thank you very much). I'm pretty happy with the way it is going and feel pretty good. I'll get abs like that yet. I just got a rejection from Strange Horizons for a story I submitted called "Lest Too Light Make the Prize Light." The thing that bugs me is that I worked with three other people (they read it and made editor like comments) and I only got a form rejection. I didn't even get a "this is well written but…" letter, just a form letter. I know the story was better than that, so I'm going to try again. I'm trying to send it to a paying publisher and it would be the first piece I've done that got more than token pay or just a thank you. Go to Illini6 for reviews of the movies "Harry Potter and the Order of the Phoenix" and "Flyboys." Hey, is that a Diploma in the Mail?! They did their worst. They made it long and oft times difficult. But I passed ILE-CC in spite of all that. Yea for me!! OK, not really. But I did just get my diploma (and more importantly my sealed DA 1059) letting the Army know that I have graduated from ILE-CC [Intermediate Level Education - Common Core]. 18 months, 51 tests, 14 writing assignments and a comprehensive final exam (I got an A, w00t!1!1!!). Man, I am glad that is done. Oh, and now I have knocked the last thing out to make me eligible for Leiutenant Colonel - the board I would go before will be next September. Did I mention that I am glad that is done? Well, I am. Follow your vision, and let nothing stop you. I wanted to follow up with a popular post from the Past. Most people would be complain about road work. Not if you have ever driven around Kabul, however. "I am as mad as Hell, and I'm not going to take this any longer!" Fighting here, there and everywhere. Did I hear a jackass braying? I hate few people in this world - but I can all too easily say I hate Hekmatyar Gulbuddin. UNICEF, uh, issues a statement. Take that! You want to know who the enemy is in Afghanistan? Look at the picture above - they are the people that do that. See this for more. Helmand PRT might need to adjust their priorities of work. I remember in 2005 when someone suggested something similar to my commander in Parwan Province, the look he gave could have stoppeda freight train...heh. An unfortunately accurate statement from Central Bank Governor Noorullah Delawari. I'd watch the Afghan wrestlers and volleyball players, for sure. Kabulpress.org founder explains his detention. Go to his site here, please. 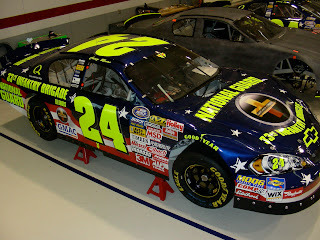 This week we have the NASCAR race at Chicagoland Speedway in Joliet. The Busch race on Saturday will have a car designed for our Brigade in the area. 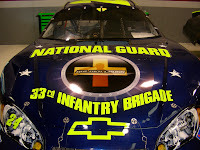 It will be driven by Casey Mears who drives the National Guard sponsored car during the Winston Cup race on Saturday. They just announced that GE will NOT buy Abbott's Diagnostic Division. This article says that they could not agree on the final terms (hence the title of this post). I wonder what that REALLY means. We have also noted that one of the big kahunas that was in charge of the transition is retiring. Coincidence? The photo I used is not of the scene in which the line is used ("but not the Irish…"), but Alex Karras (he's Greek you know) is riding an animal that is very appropriate for what I'm going to have to wade through to get to the truth of this matter. Go to Illini6 for my latest commitment (and I don't even have to wear a coat that helps me hug myself) if you dare! Looks like someone in the antique farm equipment businees should be getting a new piece in soon. How do you spell relief? PRT. A small victory, but note near the end of the press release. This is what would stop this story from ever getting out into the general news. Do you have you latest copy of Freedom Watch? 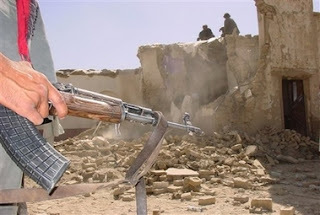 Even the Taliban is turning away from school burnings? I rather think they still did it - but even they realize that this does nothing but rouse the fury of the Afghans. Just can't stay away from Tora Bora! 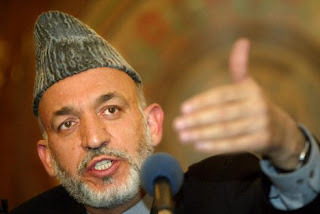 OK, say this fast, five times; "Gurbanguly Berdymukhammedov and Hamid Karzai seek to step up"
Floods - ungood. Plus ungood. Kabul Press, e-censorship? See also this. And in sports: Expat sports meet! I am sure the volleyball is going to be awe inspiring. The Afghans love it and really good at it. Ack! This article says that Bill Gates may not be the richest man in the world. Does this mean I should sell all my MS stock (of which I don't have) or does it mean that MS's hold on computerdom is slipping and we may actually get a better product? In the immortal words of Steve Martin in the Medieval Barber skit, "Nah!" Go to Illini6 for a review of Serenity the movie! I am going to repeat what I said last year - What is today all about? This. When, in the course of human events, it becomes necessary for one people to dissolve the political bonds which have connected them with another, and to assume among the powers of the earth, the separate and equal station to which the laws of nature and of nature's God entitle them, a decent respect to the opinions of mankind requires that they should declare the causes which impel them to the separation.We hold these truths to be self-evident, that all men are created equal, that they are endowed by their Creator with certain unalienable rights, that among these are life, liberty and the pursuit of happiness. That to secure these rights, governments are instituted among men, deriving their just powers from the consent of the governed. 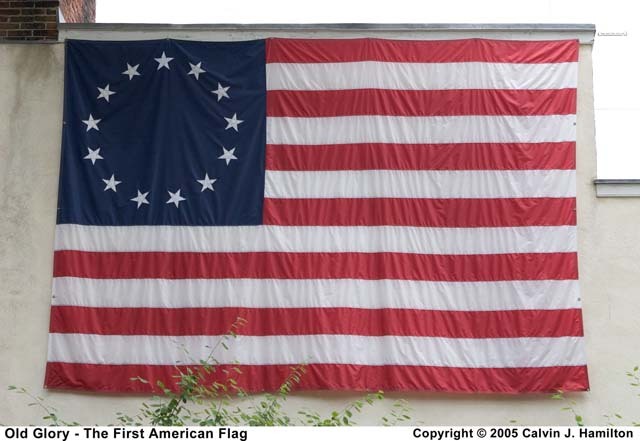 That whenever any form of government becomes destructive to these ends, it is the right of the people to alter or to abolish it, and to institute new government, laying its foundation on such principles and organizing its powers in such form, as to them shall seem most likely to effect their safety and happiness. Prudence, indeed, will dictate that governments long established should not be changed for light and transient causes; and accordingly all experience hath shown that mankind are more disposed to suffer, while evils are sufferable, than to right themselves by abolishing the forms to which they are accustomed. But when a long train of abuses and usurpations, pursuing invariably the same object evinces a design to reduce them under absolute despotism, it is their right, it is their duty, to throw off such government, and to provide new guards for their future security. --Such has been the patient sufferance of these colonies; and such is now the necessity which constrains them to alter their former systems of government. The history of the present King of Great Britain is a history of repeated injuries and usurpations, all having in direct object the establishment of an absolute tyranny over these states. To prove this, let facts be submitted to a candid world.He has refused his assent to laws, the most wholesome and necessary for the public good.He has forbidden his governors to pass laws of immediate and pressing importance, unless suspended in their operation till his assent should be obtained; and when so suspended, he has utterly neglected to attend to them.He has refused to pass other laws for the accommodation of large districts of people, unless those people would relinquish the right of representation in the legislature, a right inestimable to them and formidable to tyrants only.He has called together legislative bodies at places unusual, uncomfortable, and distant from the depository of their public records, for the sole purpose of fatiguing them into compliance with his measures.He has dissolved representative houses repeatedly, for opposing with manly firmness his invasions on the rights of the people.He has refused for a long time, after such dissolutions, to cause others to be elected; whereby the legislative powers, incapable of annihilation, have returned to the people at large for their exercise; the state remaining in the meantime exposed to all the dangers of invasion from without, and convulsions within.He has endeavored to prevent the population of these states; for that purpose obstructing the laws for naturalization of foreigners; refusing to pass others to encourage their migration hither, and raising the conditions of new appropriations of lands.He has obstructed the administration of justice, by refusing his assent to laws for establishing judiciary powers.He has made judges dependent on his will alone, for the tenure of their offices, and the amount and payment of their salaries.He has erected a multitude of new offices, and sent hither swarms of officers to harass our people, and eat out their substance.He has kept among us, in times of peace, standing armies without the consent of our legislature.He has affected to render the military independent of and superior to civil power.He has combined with others to subject us to a jurisdiction foreign to our constitution, and unacknowledged by our laws; giving his assent to their acts of pretended legislation:For quartering large bodies of armed troops among us:For protecting them, by mock trial, from punishment for any murders which they should commit on the inhabitants of these states:For cutting off our trade with all parts of the world:For imposing taxes on us without our consent:For depriving us in many cases, of the benefits of trial by jury:For transporting us beyond seas to be tried for pretended offenses:For abolishing the free system of English laws in a neighboring province, establishing therein an arbitrary government, and enlarging its boundaries so as to render it at once an example and fit instrument for introducing the same absolute rule in these colonies:For taking away our charters, abolishing our most valuable laws, and altering fundamentally the forms of our governments:For suspending our own legislatures, and declaring themselves invested with power to legislate for us in all cases whatsoever.He has abdicated government here, by declaring us out of his protection and waging war against us.He has plundered our seas, ravaged our coasts, burned our towns, and destroyed the lives of our people.He is at this time transporting large armies of foreign mercenaries to complete the works of death, desolation and tyranny, already begun with circumstances of cruelty and perfidy scarcely paralleled in the most barbarous ages, and totally unworthy the head of a civilized nation.He has constrained our fellow citizens taken captive on the high seas to bear arms against their country, to become the executioners of their friends and brethren, or to fall themselves by their hands.He has excited domestic insurrections amongst us, and has endeavored to bring on the inhabitants of our frontiers, the merciless Indian savages, whose known rule of warfare, is undistinguished destruction of all ages, sexes and conditions.In every stage of these oppressions we have petitioned for redress in the most humble terms: our repeated petitions have been answered only by repeated injury. A prince, whose character is thus marked by every act which may define a tyrant, is unfit to be the ruler of a free people.Nor have we been wanting in attention to our British brethren. We have warned them from time to time of attempts by their legislature to extend an unwarrantable jurisdiction over us. We have reminded them of the circumstances of our emigration and settlement here. 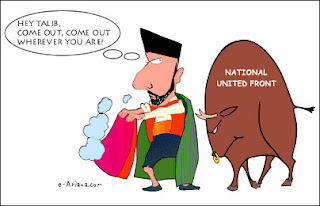 We have appealed to their native justice and magnanimity, and we have conjured them by the ties of our common kindred to disavow these usurpations, which, would inevitably interrupt our connections and correspondence. We must, therefore, acquiesce in the necessity, which denounces our separation, and hold them, as we hold the rest of mankind, enemies in war, in peace friends.We, therefore, the representatives of the United States of America, in General Congress, assembled, appealing to the Supreme Judge of the world for the rectitude of our intentions, do, in the name, and by the authority of the good people of these colonies, solemnly publish and declare, that these united colonies are, and of right ought to be free and independent states; that they are absolved from all allegiance to the British Crown, and that all political connection between them and the state of Great Britain, is and ought to be totally dissolved; and that as free and independent states, they have full power to levy war, conclude peace, contract alliances, establish commerce, and to do all other acts and things which independent states may of right do. And for the support of this declaration, with a firm reliance on the protection of Divine Providence, we mutually pledge to each other our lives, our fortunes and our sacred honor. Read this, and tell me how could we not? 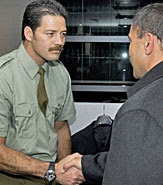 November 2004. CSM Bones and I have stopped for a bit - right off the traffic circle in the heart of Charikar, Parwan Province's capital. I just rediscovered this clip, so, lucky all of you - here it is. This Warrior won the highest UK award for actions taken back in 2004, in Afghanistan. 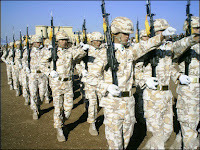 Born Warriors, I would fight along side them anyday.